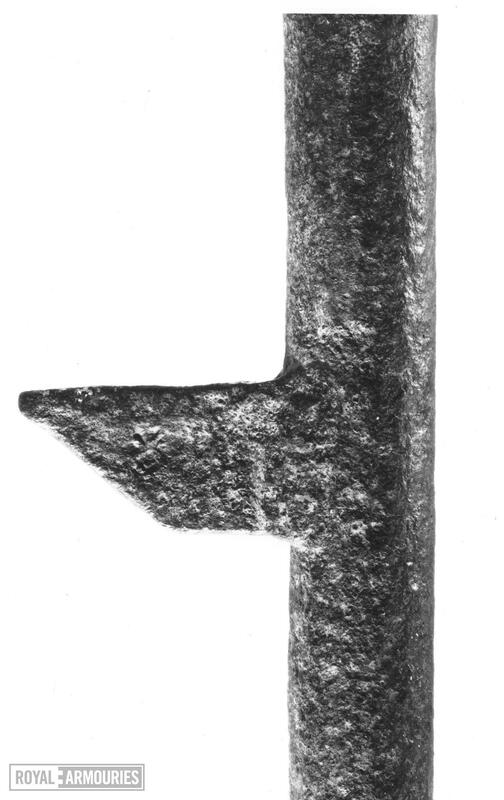 Tubular iron barrel, with small flare at muzzle. 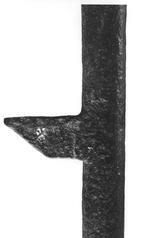 Hook beneath barrel, forged in one with it. Vent on top of breech. Circular section rod forming the tiller, the end upswept and formed into a pear-shaped loop.